David Yau obtained the B.Sc. (first class honors) from the Chinese University of Hong Kong (CUHK), and M.S. and Ph.D. from the University of Texas at Austin, all in computer science. He is now Professor in the Information Systems Technology and Design pillar of the Singapore University of Technology and Design. 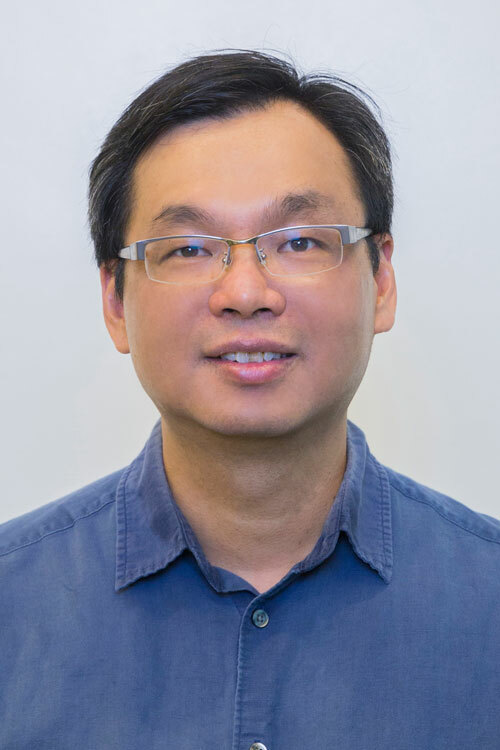 Since 2010, he has been Distinguished Scientist at the Advanced Digital Sciences Center, Singapore (a research center of the University of Illinois at Urbana-Champaign), where he is Cybersecurity Program Director. From 2015 to 2018, he was Qiushi Chaired Professor in the Department of Control, Zhejiang University, China. From 1997 to 2013 (on leave 2010-12), he was Assistant Professor then Associate Professor of Computer Science at Purdue University (West Lafayette). In 2004, he was on sabbatical leave as Associate Professor, Computer Science and Engineering, CUHK. David’s research interests are in network protocol design and implementation, network and cyber-physical system security and privacy, quality of service (QoS), network incentives, and wireless sensor networks. He received an IBM Fellowship and a CAREER award from the U.S. National Science Foundation. He won Best Paper award in 2017 IEEE/ACM Int’l Conf. Information Processing in Sensor Networks (IPSN) and 2010 IEEE Int’l Conf. Multi-sensor Fusion and Integration (MFI). He was Mark Weiser Best Paper finalist of 2013 IEEE Int’l Conf. Pervasive Computing and Communications (PerCom), and Best Paper finalists of 2013 ACM BuildSys, 2013 IEEE Int’l Conf. Cyber-Physical Systems, Networks, and Applications (CPSNA), and 2007 IEEE Int’l Conf. Mobile Ad-hoc and Sensor Systems (MASS). David serves on the editorial boards of ACM Trans. Sensor Networks, Big Data Research (Elsevier), and IEEE Trans. Network Science and Engineering, and he was Associate Editor of IEEE Trans. Smart Grid, Special Section on Smart Grid Cyber-Physical Security (2017). He served as Associate Editor of IEEE/ACM Trans. Networking (2004-09) and Networking Science (Springer) (2012-13). He was technical program committee (TPC) co-chair (2006) and steering committee member (2007-09) of IEEE Int’l Workshop Quality of Service (IWQoS); vice general chair (2006), TPC co-chair (2007), TPC area chair (2011), and Workshop co-chair (2016) of IEEE Int’l Conf. Network Protocols (ICNP); TPC track co-chair (2012) of IEEE Int’l Conf. Distributed Computing Systems (ICDCS); TPC track co-chair (2013) of IEEE Int’l Conf. Green Computing and Communications (GreenCom); and Workshop Chair (2018) of IEEE Int’l Conf. Parallel and Distributed Systems (ICPADS). He served as a Keynote Speaker for 42nd IEEE Conf. Local Computer Networks (LCN), 2017. He serves in the Management Committee of the Singapore Cybersecurity Consortium (SCC) and chairs the SCC’s SIG in IoT and CPS security. His research has been funded by MINDEF, A*Star, NRF, and EMA in Singapore; by NSF, DOE, ONR, IBM, and the Indiana 21st Century Research and Technology Fund in the U.S.; by the National Natural Science Foundation of China; and by the Korea Electronics Technology Institute. He has served as panelist and reviewer for U.S. NSF, DOE, and ONR, as well as several international funding agencies. PI, ACRES: AI-enabled Cyber Resilience for Power Systems, S’pore Energy Programme Secretariat, 7/2018-7/2021. PI, Wireless Exploitation of Power Grid Voltage Profile as Time and Space Signatures, S’pore Ministry of Education Tier 1, 1/2018-1/2020. PI, PoPSeCo: Power Plant Security by Advanced Sensing and Computing, Energy Innovation Research Programme (EIRP), S’pore Energy Innovation Programme Office (EIPO), 5/2015-10/2018. PI, CISDeM: Cross-functional Information Systems for Decision Making, S’pore Ministry of Defense (MINDEF-FSTD), 12/2014-6/2018. Co-PI, ASPIRE: Advancing Security of Public Infrastructure using Resilience and Economics, National Cybersecurity Research (NCR) program, S’pore National Research Foundation (NRF), 4/2015-12/2019. Co-PI, A Cyber-Physical Approach to Securing Urban Transportation Systems, NCR program, S’pore NRF, 1/2015-12/2019. PI, Privacy and Control Co-Design in Cyber Physical Systems, Overseas Scholar Collaborative Research Fund (Continuation Program), National Natural Science Foundation of China (NSFC), 1/2015-12/2018. PI, Privacy-Assured Demand Response towards Smart Consumption and Green Energy Integration in Smart Grids, S’pore Ministry of Education, SUTD-ZJU Collaboration Research Program, 2014-2017. Vu Dinh Quyen (Assistant Principal Data Scientist, ST Engineering Electronics), Dima Rabadi (Research Scientist, A*Star I2R), Subhash Lakshminarayana (Assistant Professor, University of Warwick), Yang Li (Assistant Professor, Shenzhen University), Fuxi Wen (Marie-Curie Fellow, Chalmers University), Yaqin Zhou (Security Researcher, SourceClear), Zhan-Teng Teo (Associate Consultant, GovTech), Deokwoo Jung (Senior Member of Technical Staff, Palo Alto Research Center), Varun Krishna (PhD student, UIUC), Hoanghai Nguyen (PhD student, UIUC), Khiem Ngo (PhD student, Princeton), Sheng Yuan Chiu (Senior Software Engineer, MStar Semiconductor, Taiwan), Rui Tan (Assistant Professor, NTU), Ke Liang (CTO, Eatigo), Chris Ma (Assistant Professor, Hang Seng University of Hong Kong).